Have you ever been to Paris? If yes, you may know all the amazing places of interest. Of course, all people may have different reasons to travel to France. In any way, it is very important to select the best airlines to fly to Paris from the USA. But still, how to select the best business class airline and what are the main criteria? So, in this article, we are going to look through the best business class airlines to Paris from the USA. Why is it important to choose the best business class airline? When you are going to fly anywhere you need, it will be better to choose traveling with the business class. It is cheaper than traveling with first class, and what is more, is that it is twice better than the economy class. However, there are lots of various business class airlines. In fact, your flight can take more than three hours. That is why it is very important to choose the best business class airline with the best seats, dining, entertainment, etc. 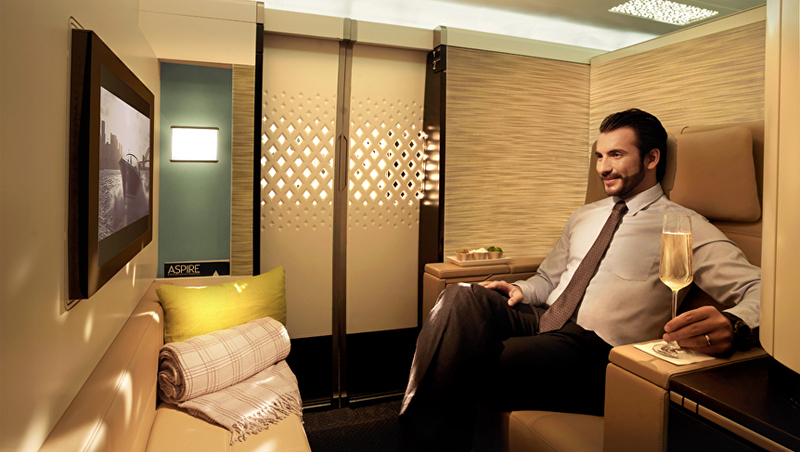 How to select the best business class airline? Nowadays, you can find out many various airlines. It is not going to be a surprise that almost all of them have specific characters, extra options, unique propositions, free discounts, etc. Nevertheless, there are special evaluation criteria, which will be better to check before booking a ticket on any airline. Well, there is a list of things you should check before booking a ticket. The first thing, which is important to do, is to check the seats. Only a high-quality seat can make your flight as comfortable as possible. If you prefer to sleep during the flight, it will be better to have a roomy bed with enough leg space. As for the pillows, they must be hypoallergenic, because some people may have different allergies. One more important thing that must be checked before the flight, is dining. Basically, the onboard menu should be various, in order to suit people with different tastes. That is why you should pay attention to the diversity of dishes not to be hungry during the flight. The next point is the onboard entertainment because not all of us like to watch the window views or fall asleep while flying. The best business class airlines to Paris from the USA should give their customers interesting IFE system. It can be magazines, books, movies, music, video games, TV shows, Wi-Fi, etc. One more thing you should check is special discounts and promotions. In fact, the best business class fares to Paris from the USA are rather expensive. So, the best airlines usually provide their clients with special promotions, free discounts, sales, etc. 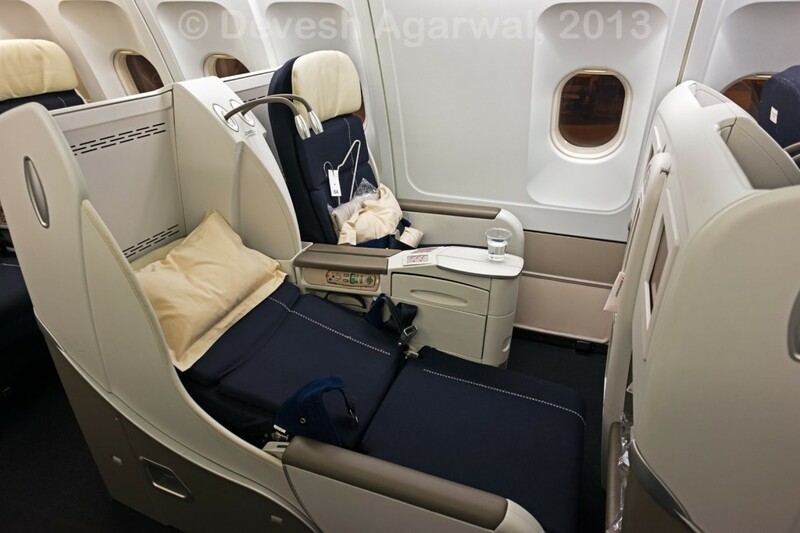 #1: Air France Business Class to Paris. Actually, the best business class airline to Paris from the USA on this list is Air France. You may have heard a lot about its lounge. 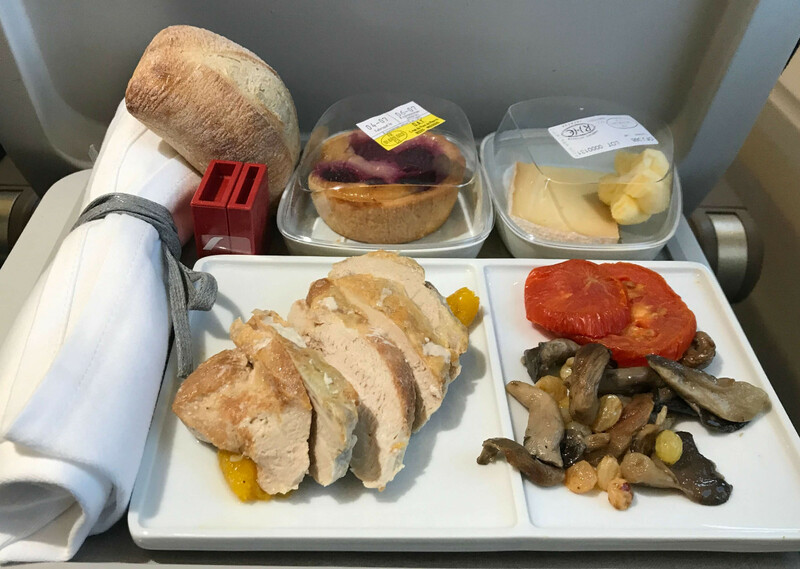 While flying with Air France business class, you will be able to have your meals before boarding (in order to fall asleep during the flight and not be interrupted to have a dining) and enjoy some entertainments. 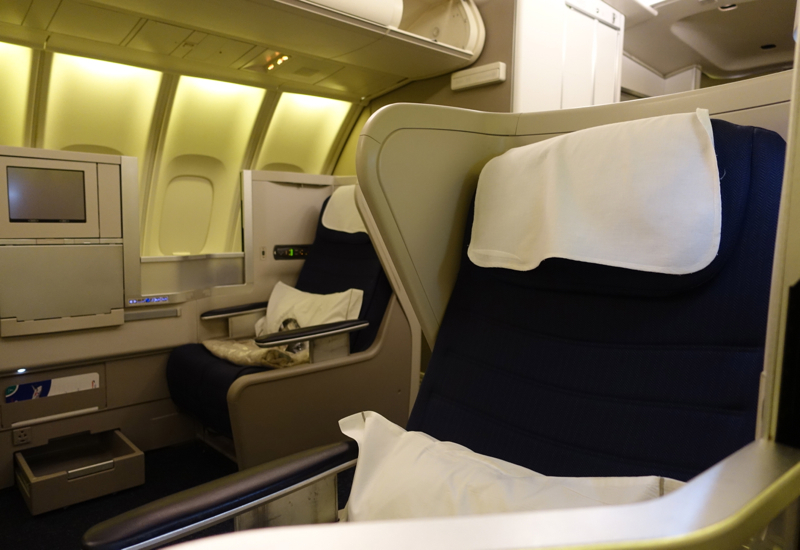 In fact, Air France business class provides its passengers with lay-flat seats (which can transform into comfortable beds), hypoallergenic pillows, plush duvets, outlets amenity kits, which are well-designed and include Clarins products, etc. As for the entertainment program, each seat has a large LED screen and noise-canceling headphones. It means that all the passengers can watch movies/videos, listen to music, read books, play video games, use free Wi-Fi, etc. Speaking about the onboard dining, you will enjoy French cuisine curated by Chef Daniel Boulud. All these factors make Air France one of the best airlines to fly to Paris from the USA. In accordance with the cheap business class to Paris from the USA reviews, American Airlines is one of the most popular among others. Usually, they provide their passengers with rather comfortable cabins and high-quality seats. Each seat of the American Airlines business class has a high wall, which gives the privacy to each customer. As for the entertainment, all the seats are featured with a personal IFE system with a 15-inches LED screen. So, while flying with American Airlines business class, you can even use nice headphones and free Wi-Fi. The onboard menu is different and interesting. For example, you can order delicious Prawns, Chicken, Beef, Cheese, and some salads. Also, you can order tasty Ice Cream, Cheesecake, Mousse Cake or Cheese Plate. 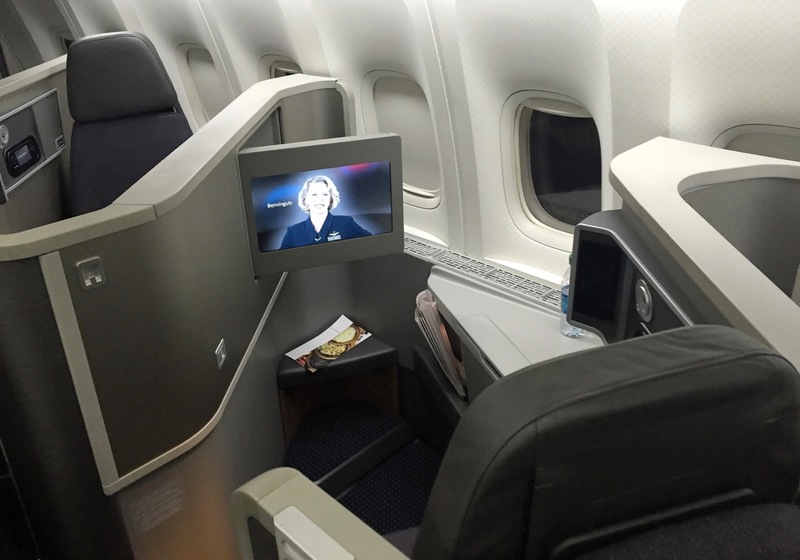 American Airlines business class is one of the best airlines to Paris from the USA. #3: British Airways Business Class to Paris. The next airline on our list is British Airways, which is known for its long-haul routes, amazing service, and cool onboard equipment. Moreover, it is the best one for traveling with family. As for the seats, they are very cozy, comfortable, and spacious. When you transform it into the bed, you will get enough space for you and a normal leg room. Speaking about the service, you will be surprised with it. You can ask for a help anywhere you need. 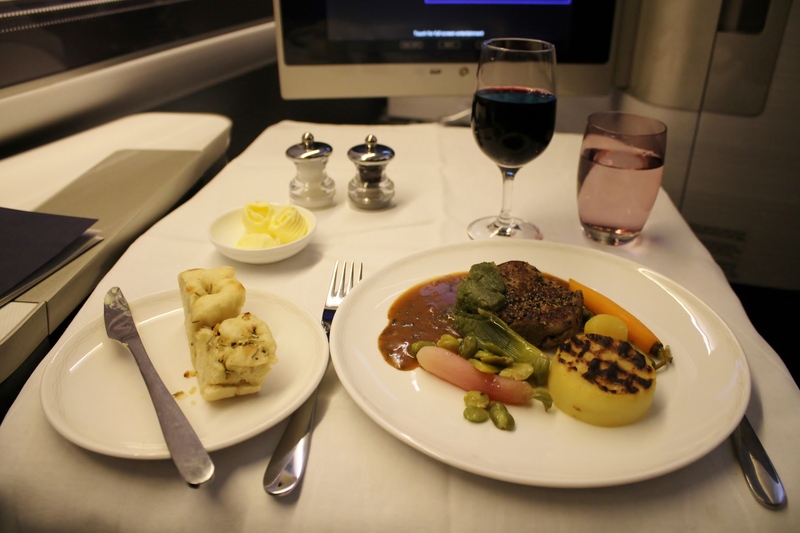 The menu of the British Airways is rather different and you can order various delicious dishes. For example, you can taste the Bucks Fizz, nice British beef with tasty honey-roasted parsnips, the Severn and amazing Wye Scottish salmon, great Cumberland pork sausages, etc. There are some delicious desserts as well. One more thing, which makes British Airways one of the best business class airlines to Paris from the USA, is a discount for its customers. 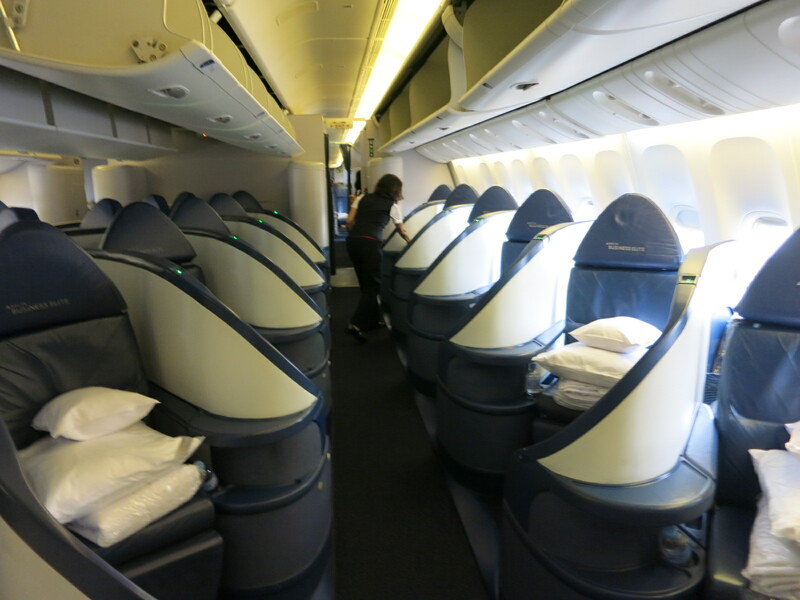 #4: Delta Airlines Business Class to Paris. One more airline on our list is Delta Airlines with gorgeous cabins. Basically, Delta Airlines business class provides each client with a high-quality leather seat with ample leg room, spacious and comfortable bed, and Westin Heavenly onboard bedding. Like many other airlines, this one has a very interesting IFE system. 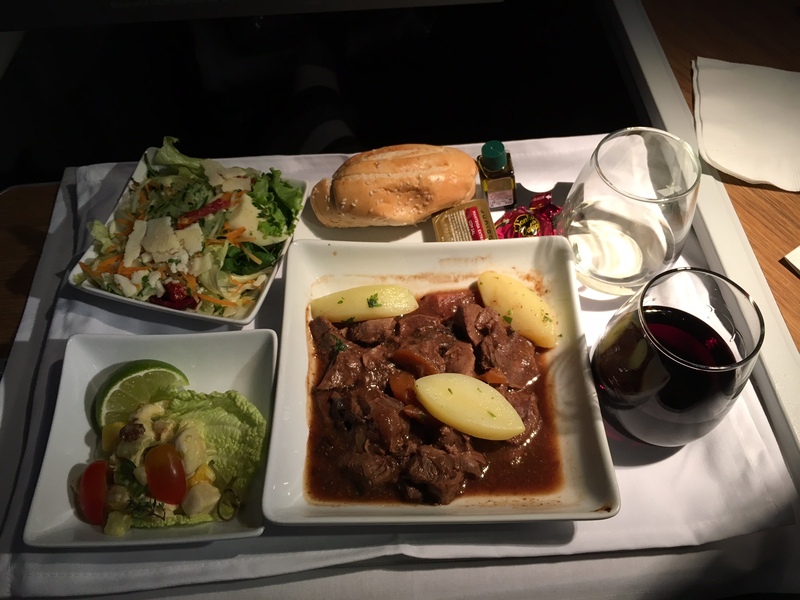 This airline has a great dining, as it is changeable due to the destinations and routes. However, they propose all the passengers to try delicious seasonal meals with exclusive wines paired by special expert sommelier Andrea Robinson. By the way, Delta Airlines has a fantastic service. They can even propose you to select and book some restaurant and hotel. That is why Delta Airlines is one of the best airlines to Paris from the USA. 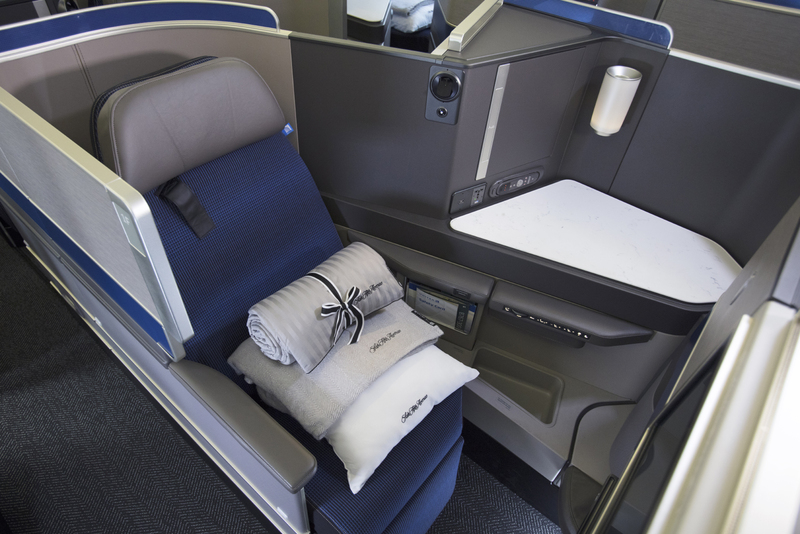 #5: United Polaris business class flights to Paris. Speaking about the last airline on our list, it is a luxurious one. United Polaris business class gives its customers only good seats. All the seats are with high walls, in order to give privacy to everyone. They are spacious and comfortable. There is a special USB port to connect your devices during the flight. If you transform the seat into the bed, you will have enough leg room. As for the IFE system of the United Polaris, it is different and very interesting. 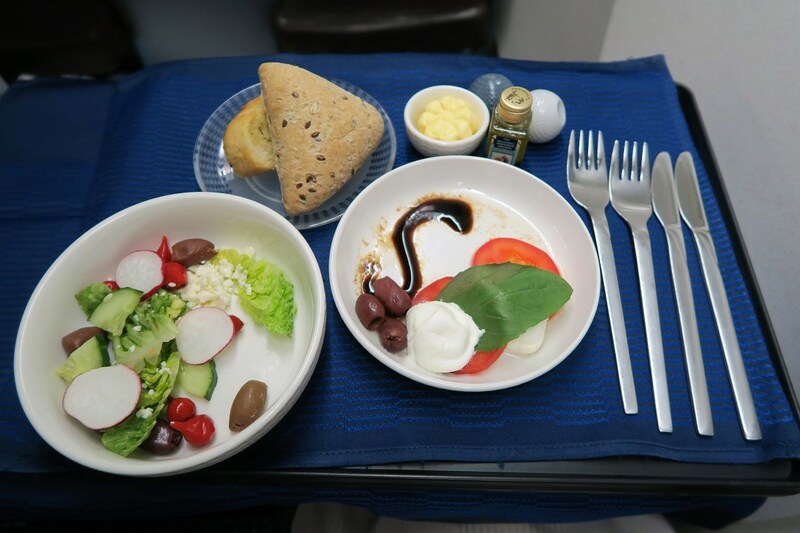 All the meals of the United Polaris are always fresh and all dishes taste delicious. For example, there are such dishes as a Grilled Pork Chop, Spicy Chicken, Stir-Fried Chicken, and Fried Halibut. Or you can try some desserts like an International Cheese Assortment, Signature Sundae, and Sweet Treats. However, there are some salads and snacks as well. In any way, everything is great and the service is fantastic. Well, now you know how to choose the best airline. Moreover, now you have special evaluation criteria to make the right choice. 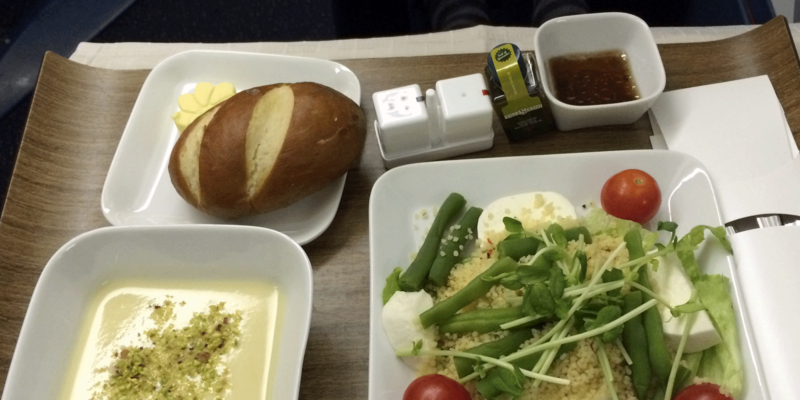 In fact, comfort and dining play a big role during the flight. That is why it is very important to select the best one among others. Nevertheless, now you know at least the top 5 best business class airlines to Paris from the USA. Just choose the most suitable for you and try it.